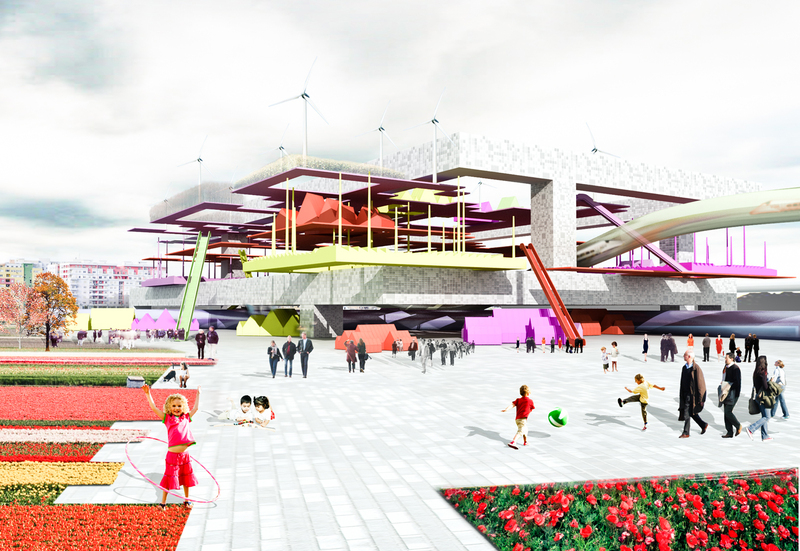 Station is an urban concept that can be an opportunity of grouth and raising for the city of Tirana. Considering the strategic position of the area, the project takes power from the political strategy of paneuropen corridor that connects the site to Europe and then to the world. The desire to turn over the concept of station brought us thinking about a porous megastructure on different levels, that is a transit space, a spread city, and wants to converse with the existing. Envelope doesn’t exist anymore, space doesn’t have limits, architectural schemes are broken. Rail lines represent veins that bring vital essence to the system. QR code was a captivate suggestion, but the theorical model was Sierpinski carpet, used as a colonization scheme. Dividing a square in 9 parts, the central one is detracted and represents a void; this process is applied to every sub square until endless. 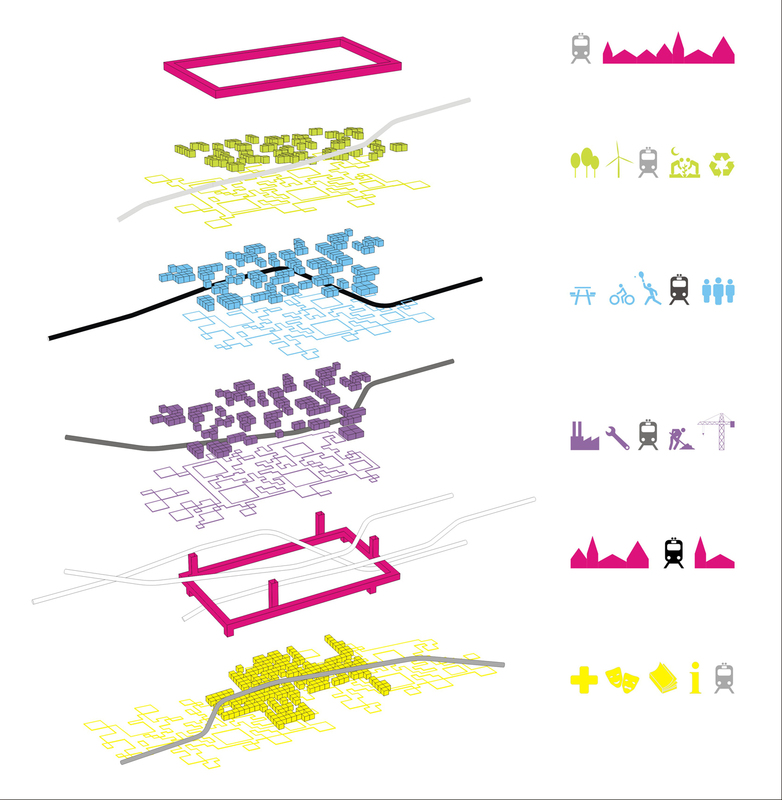 Following this model, the project area is an urban void, where infrastructures, transports and connections have the fundamental role to bring people that colonize space, to push society to fill the void and plagiarize it. The entire system is a contrapposition of fills and voids. People that interact and colonize the perfect theorical model, transform and personalize spaces, arising an imperfect model, characterized by human society. 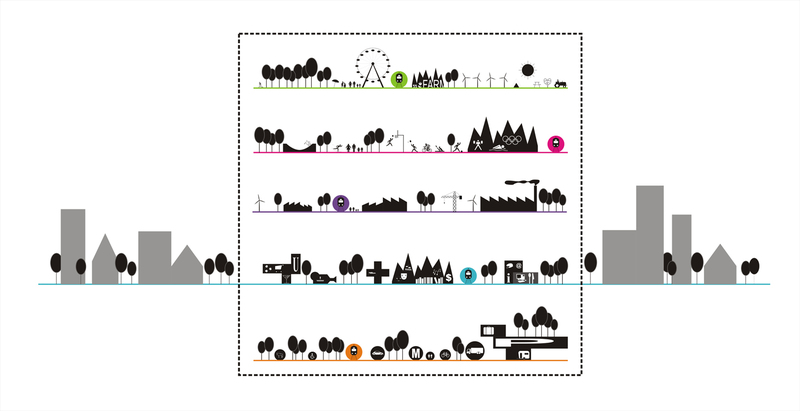 People take part to this fluid revolution and new organization of urban space. This system creates new kind of relationships with the context, between spaces themselves and between spaces and men; it generates connective flows and connections between public and private. Man is at the origin of the project, because creates this complex and ideal system, but at the same time colonize it and make it imperfect; technology becomes human. 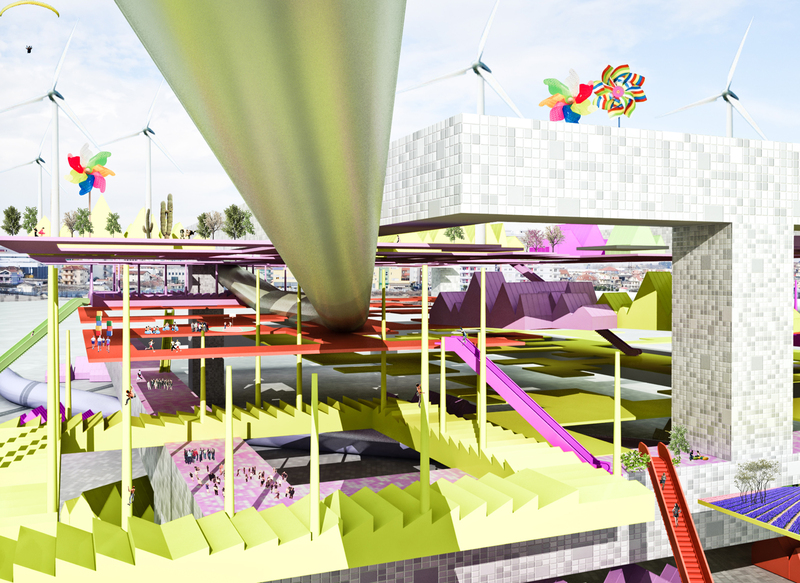 This megastructure is a living system, an hybrid entity, dynamic, a suggestion for metaphorical urban scenes.